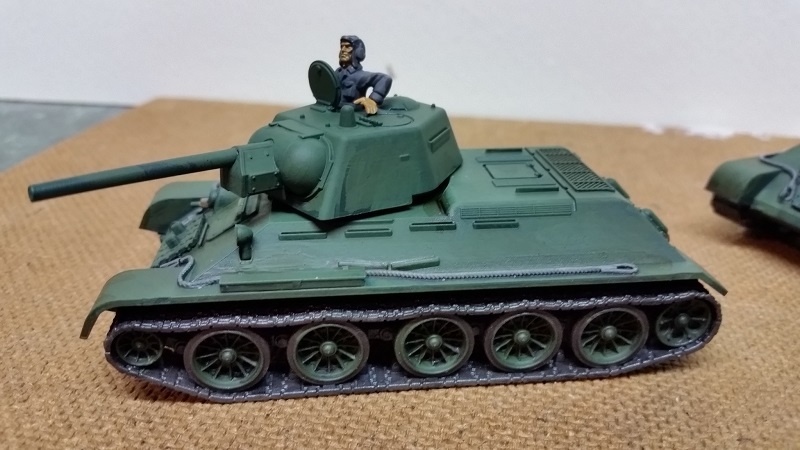 A Soviet WW2 army would not be complete without tanks. Five T34 mounting the 76mm cannon are appropriate for 1943, one features an earlier turret (a lucky survivor). The tank with the exposed crewman will count as the commander of the unit. Tracks – spray paint Krylon Black. Highlight with 40/60 Oily Steel (V) and Walnut (R). Splash a bit of Dark Sepia (SW) and Black Wash on for effect.